Dec. 3, 2017, 11:57 a.m.
For the complete list of music festivals that were included in the 2017 Festival Passport visit their official site. Now that you have the basics of the pass, let’s get to our review. My Fiancee and I were fortunate enough to be able to snag 2 of the 1,000 Live Nation Festival Passports, and it was one hell of a year with them. Here’s my full breakdown of it from beginning to end. Live Nation announced the new Festival Passport in May with about a week’s notice. You could only buy one pass per person and they were 100% non-transferable. This is absolutely true: upon arriving at any festival we were attending they required a photo ID matching the name on the Festival Passport. I realistically cannot see any method of transferring it so be sure you want it if you decide to buy one. As for purchasing the pass itself, it was surprisingly easy with one caveat: if you are trying to get two. I was actually able to go on the minute they went on sale, add one to my cart and check out. The problem? The website kept crashing on my Fiancee and she couldn’t get in. You could only hold a Festival Passport in your cart for 7 minutes, so I had to keep re-adding it waiting for her to be able to get in. Then she was able to get in and I couldn’t. Long story short is eventually after a ton of stress, refreshing and more stress we were both able to secure a pass for $823.71. If you are only buying a pass for yourself it was a breeze, but coordinating and ensuring you and a friend got one is tricky and takes a lot of coordination. Also note that there is no payment plan for the Festival Passport like most music festivals offer – everything is due the day you purchase. Pretty uneventful to be honest. Live Nation shipped them really quickly so we got them within a few days, but for some reason I was expecting some sort of commemorative box or something. 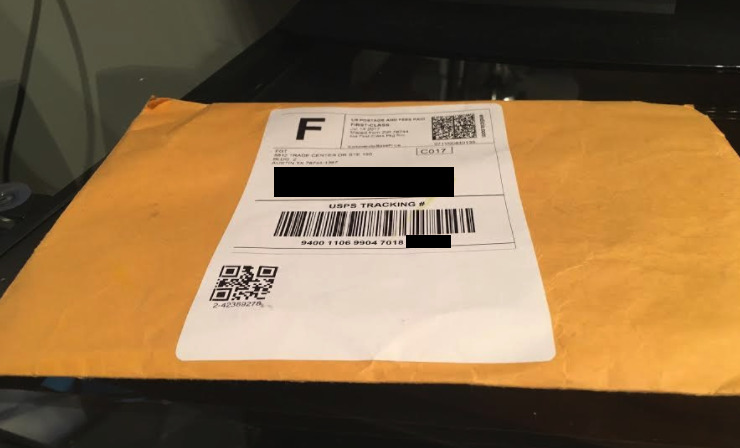 I guess I assumed it would come in something similar to the box Coachella or EDC wristbands come in. What we got was a plain, manila envelope with our passports in them. Definitely not a big deal, but we expected something a little more given these things were $800+, but whatever – onto the festivals! Of course if you can make it work you can attend a lot more festivals than we did with the Festival Passport. Due to limited vacation time off from work this is all we could squeeze in, and I’d say we still easily got our money’s worth out of the pass. This was surprisingly easy every time. I was pretty suspect about the passports working the first time we went, which was Governors Ball. The festival took place just a couple of weeks after we purchased our passports so it was a last minute trip, and I expected the people at will call to look at me confused when I showed them my Festival Passport. To my pleasant surprise they knew exactly what it was and quickly handed us our 3-Day GA passes to Governors Ball. It really was that easy. Of all the festivals we attended we never had a problem with getting our wristbands and getting in. At each festival someone at the will call knew what the Festival Passports were and took care of it. Essentially the Festival Passport seems to just show up in the system like you bought GA passes and are picking them up at will call. The only downside to the Festival Passport is you need to go to will call. For a major fest like Lollapalooza it was short since it sells out immediately and almost everyone has them ship. For Governors Ball, which sells a lot of passes last minute at a discount the Will Call is pretty long and inconvenient. Most of the festivals included in the passport are in the Midwest or East Coast. If you are coming from California it can make the travel costs even greater. If you want to go to a festival for a day or two and then not attend the final day(s) it’s no problem. For example, we wanted to check EDC out but were wiped out after two days so we skipped Sunday and sold our wristbands to someone we found on Reddit. We did this at a few festivals. Due to the fact that you didn’t really pay for the wristband to go to the festival there is no pressure to attend the whole festival if you don’t want to. Is The Festival Passport Worth It? I definitely think so if you can afford all of the travel costs. I had the time of my life in 2017 being able to attend so many festivals and scratch so many experiences off my bucket list. Lollapalooza sold out in one day in March; I never expected to be able to attend it in 2017. The Festival Passport made it so I could. Again, if you can attend three festivals it will pay for the Festival Passport, especially if you go to one of the more expensive festivals like Bonnaroo or Lollapalooza. As I mentioned just be prepared for a lot of travel costs if you really want to make the most out of the Festival Passport. I would also say that if you can somehow go to Europe and take advantage of the festivals there this thing is really worthwhile. So many of the European festivals are near each other and have monster lineups that those really unlock the value of the Festival Passport. Is Live Nation doing the Festival Passport in 2018? Good question. 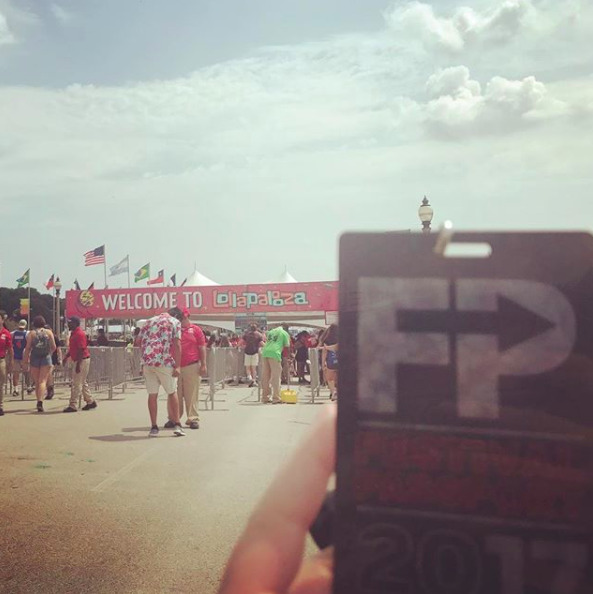 Live Nation has not confirmed that they will do the Festival Passport again in 2018, but I assume they will. First, there is obviously demand for the Festival Passport as all 1,000 sold out within a couple of hours, even with the high price. Second, I still see this as really profitable for Live Nation. I would not have attended Lollapalooza if I didn’t have the Festival Passport. However, with it I could go and spend plenty of money on $28 bottles of wine and overpriced $12 beers. Ultimately what is the cost to Lollapalooza to sell these Festival Passports and allow additional patrons into the festivals? Ultimately it’s just bonus money to them, and they’ve begun saving costs by booking acts to contracts across multiple festivals. I’d be really surprised if the Live Nation Festival Passport isn’t back in 2018.